It's your turn to #HustleforHASA! I donated in support of this campaign on Sara Frederick's page. ""Boop-in" over the BayBridge...have a great adventure." "Enjoy your day on the Chesapeake Bay." "One step at a time....you got this one. " I donated in support of this campaign on Chrissy Wandishin's page. I donated in support of this campaign on Amy Bopp's page. I donated in support of this campaign on John Lee's page. "In memory of John Tisdall"
Help Team HASA take on the Bay Bridge! We are asking a few of our key partners to rally their friends, family, and networks to support our work. By becoming a fundraiser for The Hearing and Speech Agency, you will help more individuals and families facing communication challenges, and you'll help your friends feel good about doing good. 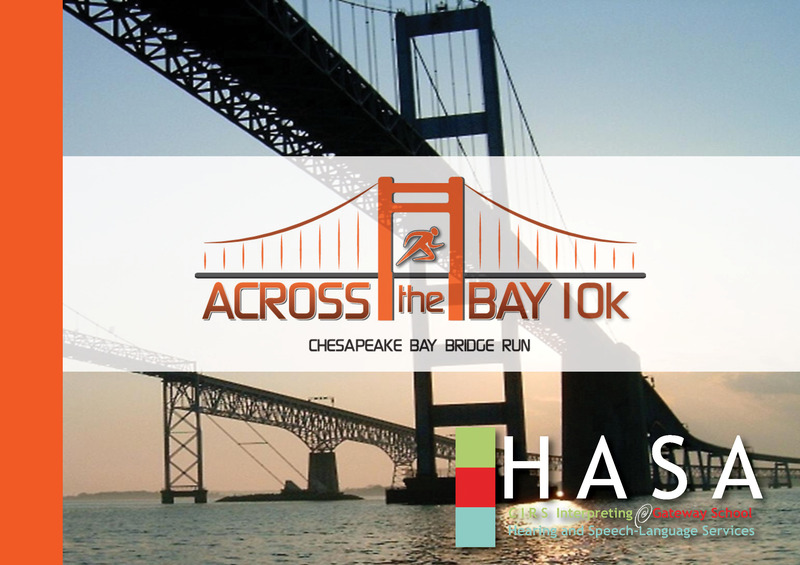 Join Team HASA as we conquer the Bay Bridge in the Across the Bay 10K on November 4. As part of the team, I'm raising funds to support innovative programs that support accessibility, inclusion, language access, communication, special education,and hearing health. Last year, HASA provided services to more than 4,000 families - at their Baltimore campus and throughout Maryland. Won't you join me in support of one of Baltimore's oldest and largest nonprofit organizations? A gift of any amount could make a real difference. Starting a fundraiser is easy to do, and it's fun. We'll even give you all the tools you'll need to make a difference. With your help we can ensure communication for all. .